IBasic Learning Edition 2.02D is other software developed by Pyxia Development. The IBasic Learning Edition features a syntax similar to BASIC with all the power of Windows. Includes built in lessons to help the new programmer get started. Capable of creating full windows 9x and XP applications in fewer lines of code then comparible languages. The Learning Edition was specifically designed with the beginner in mind. This other software is freeware, which means you can download and use IBasic Learning Edition 2.02D absolutely free. There's no need to buy the product. IBasic Learning Edition 2.02D supports English interface languages and works with Windows 98/XP/Vista. Latest IBasic Learning Edition 2.02D does not contain any spyware and/or advertise modules, allowing installing it with no worries concerning valuable information loss. Our website has thoroughly tested other product IBasic Learning Edition 2.02D, written the review and uploaded installation file (2570K) to our fast server. Downloading IBasic Learning Edition 2.02D will take minute if you use fast ADSL connection. A powerful, full featured 2D game programming language. Guitar learning with tab editor, songs and lessons. Book included. 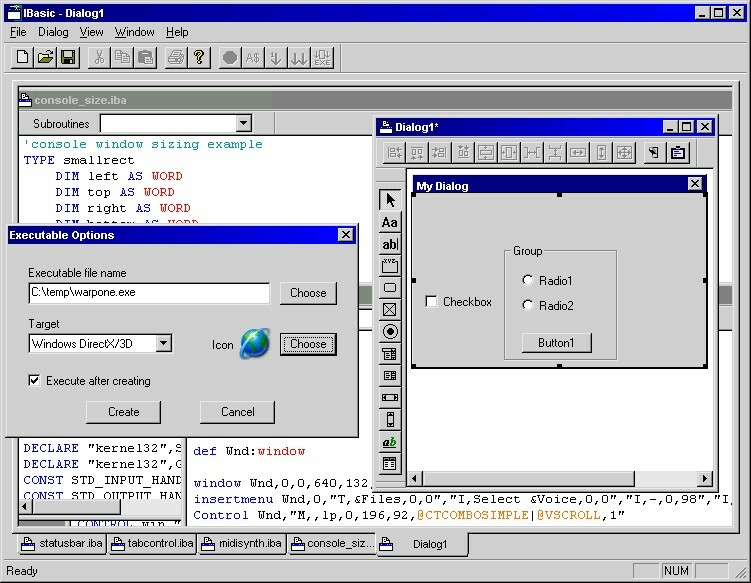 A full featured IBasic compiler for Windows 9x/NT/2000/XP. Supports inline ASM. 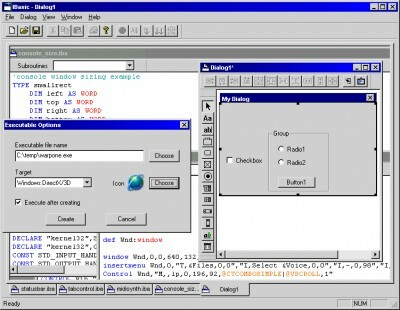 Easy, personal Windows programming in BASIC! Create utilities, games.. more!